The forest agencies of Kenya, Tanzania, Uganda, Madagascar and Mozambique have signed a declaration to combat illegal timber trade in East and Southern Africa. The Zanzibar Declaration was signed on September 9 at the XIV World Forestry Congress in Durban, South Africa, one of the largest gatherings of world forestry leaders. “We declare that we need a unifying strategy to help Eastern and Southern Africa countries to curb illegal trade in timber,” stated the declaration. It further asks member states to develop monitoring and reporting systems for their respective timber industries and implement bans on timber exports. The declaration also urged upcoming summits involving consumer countries, such as China, India, and European and West Asian nations, to include the issue of illegal timber as a priority agenda. 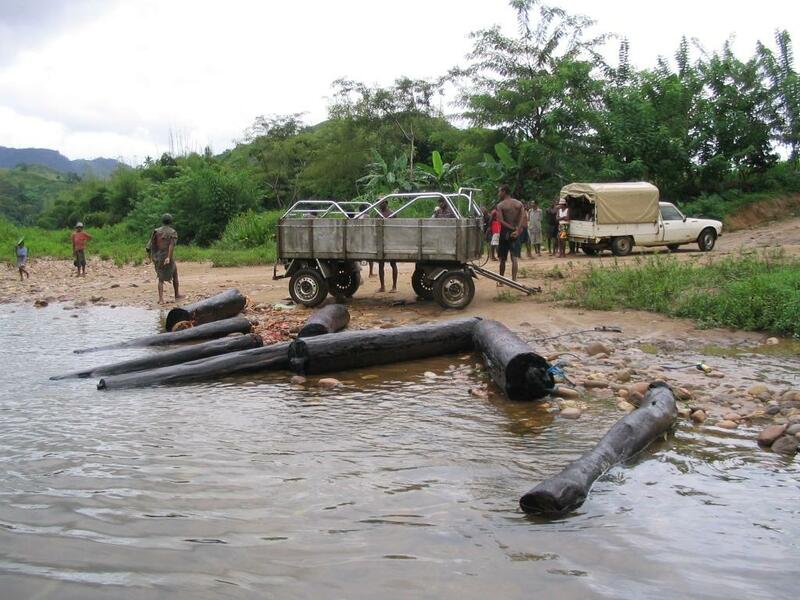 Madagascar, Mozambique and Central African countries are generally the source of illicit timber, while Uganda, Kenya, and Tanzania are major transit points through which contraband is sent to overseas markets. Mozambique is both a source and transit country. The event was facilitated by WWF, TRAFFIC, and the Southern African Development Community (SADC). “WWF welcomes the Zanzibar Declaration on Illegal Trade in Timber and Other Forest Products, the first such agreement of its kind in the region. The declaration comes at a crucial time. Illegal trade in timber is expanding at an alarming rate and this new commitment by governments will greatly amplify efforts to reduce such trade at the regional level,” said a Geofrey Mwanjel, WWF Coastal East Africa Initiative Head of Terrestrial Program, in a statement. “The Zanzibar Declaration signals a firm commitment by the five countries concerned to curtail the illegal and unsustainable timber trade that is benefitting criminals and depleting the natural resources of the region,” said Julie Thomson, TRAFFIC’s East Africa Programme Coordinator. Data released by the UN Food and Agriculture Organization (FAO) on September 7, titled the Global Forest Resources Assessment 2015, shows that primary forest cover in sub-Saharan Africa has declined by at least 6.3 million hectares over the past decade.